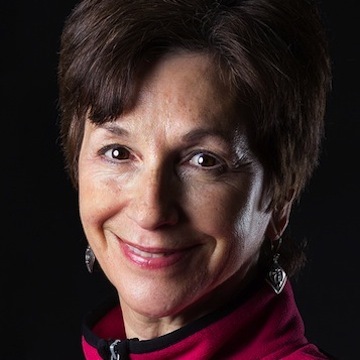 Diane Lassman is a certified Iyengar yoga teacher who brings 16 years of teaching experience to our studio. After careers in both education and nursing she turned seriously to yoga in 2000 after suffering with chronic low back pain for years. As her back pain disappeared, her commitment to the study and practice of yoga deepened. What began as a way to manage back pain and stabilize the physical body soon became a doorway to inner stability as well. As Diane gained awareness of yoga’s capacity to cultivate mindfulness, peacefulness and a sense of wholeness, she realized that she needed to teach once again and share this holistic practice. She enjoys working with clients of all ages but sees a clear need to offer classes to those fifty and above who think it is too late to begin a yoga practice and/or are intimidated by the physicality of yoga. She loves nothing more than seeing students come to the studio feeling concerned that they “won’t be able to do it” and then realize that yoga is exactly what they need to do in order to get unstuck from preconceived notions of what they can and cannot do. Diane shares her talents at the studio, at the Jewish Community Center and at Rodef Shalom Synagogue where her students are between 70 and 90 years old – they are a true inspiration for her! Diane’s mentors include Sara Azarius, Lois Steinberg, Dean and Rebecca Learner, Judith Lasater, Bekir Algan and Manouso Manos.